Minor spoilers discussed relating to the first number of hours of Dragon Age 2. There has been much criticism of Bioware’s latest work Dragon Age 2, though that criticism doing little to dampen my own enthusiasm for the experience that I hoped would manifest. 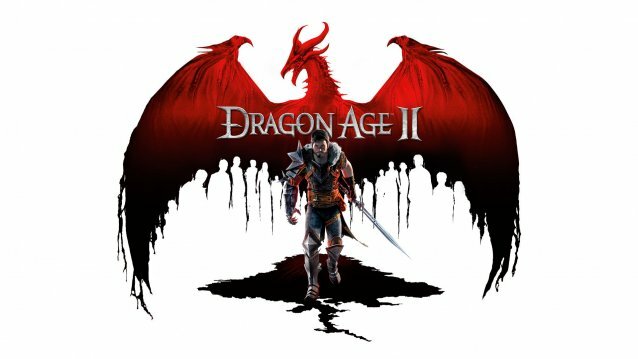 While most were concerned with combat, linearity and a limited area in which to traverse (which are without doubt valid points for debate), I remained hopeful that, like the first Dragon Age, a great number and a great complexity of character interaction and interactivity would shine through. In Dragon Age 2 however, It’s hard to imagine how it could have kicked off worse. In any medium with a desire to create emotional involvement between characters portrayed and the audience, time spent exploring the character’s reactions and opinions during certain situations can endear the viewer as associations are made of their own thought process in similar moments. However, It’s quite difficult to get to know someone in short snippets of information and worse, when the gaps between these snippets can render entire moments null and void. * Developing an attachment to a character in an RPG is as much about knowing them as it is ‘customising’ them over time. It’s hard to find joy in upgrading that sword your favoured party member wields when, in the space of one time lapse, it’s gone and replaced by equipment you have never seen. It’s like knowing someone at work then meeting them at a bar and seeing their casual clothing for the first time. They look like an entirely different person and you have to get to know them all over again – “I didn’t know he liked poncy hats”. * When in the face of these time lapse moments you work to get to know a character, there’s concern that character will be written off and dumped from the story without warning. Why would the player attempt to get to know someone when at any moment they can disappear after a non-telegraphed cut scene? You won’t even get to say goodbye. * Knowing this, and having no central social hub like in the first game (the party camp), why make the time to travel to a character’s home base – likely out of your way – to forward these relationships? Bioware seems to have tucked this aspect away amongst the alleyways and busy streets so you’re less likely to bother trying. I wonder if that’s the intention. * Side quests are a voluntary thing and should allow the player, if they so choose, to explore a greater world and greater understanding of more than just the main characters involved in the story. Here however, side quests look important but are dismissed faster than you can hand them in. Find a lock of hair from a long lost child and a quest opens to return the object to the relevant person of interest; a missing child or other important, critical you might say, story element for one or more incidental characters in the world. Hand that lock of hair in however and you’re treated to a few ham fisted generic lines of dialogue: “I think you lost this”, “Thanks, I never thought I’d see that again”. Well, I guess you weren’t as interested in the demise of your daughter as I’d expect. My mistake. * The first major character building decision the player will make is whether to be a mercenary or thief, and it feels like no small choice. After all, the player has been told this is a two year enterprise. Once the tough decision is made however, the game switches to a time lapse and the gravity of the situation collapsed in an instant, the two year contract up as soon as the ‘loading’ icon fades. Welcome, you’re a citizen of Kirkwall now, just forget about those first few hours you spent agonising over your suspected position in life. All of this sets up a dangerous precedent where none of your decisions or interactions seem to hold much purpose as they exist in small bubbles with no insight as to their expected life cycle. They might be referenced in later bubbles, but it hardly feels connected between bubble to bubble, and you can’t remember which have popped and which still remain. One other, perhaps unrelated point (indulge me here, I’m on a roll), is that once again I’m playing as an ousted son of a wealthy family who has lost their fortune to wrong doing, tasked with restoring my families honour and position as respected mansion dwelling nobility. Wouldn’t it be interesting to switch this around in a fantasy themed story and instead escape the pompous lifestyle? Perhaps Dragon Age 2 will present this after all as part of the story arc or as a player driven decision as, full disclaimer, I’m not that far in. Unfortunately and indeed depressingly, I also don’t feel encouraged to continue either. However, I’m fully aware love can often start off on the worst foot imaginable.